Few industries have developed a better reputation for building wealth than real estate investing. It is worth noting, however, that there is more than one way to build wealth through real estate. In addition to the profits associated with the industry’s many exit strategies, real estate awards investors several attractive tax benefits, not the least of which may act as a tax shelter for the money one accumulates. Of all the tax benefits made available to real estate investors, none may be more impressive than the one awarded to buy and hold investors: investment property depreciation. Deducting depreciation on rental property from taxable income is one of the most underrated benefits of investing in real estate. What Is Investment Property Depreciation? Investment property depreciation is a significant tax benefit that allows rental property owners to deduct the costs associated with buying a respective home. Not unlike a traditional business expense, real estate investors are able to deduct the cost of purchasing a home. The I.R.S. has accounted for the deterioration of homes much like they would with most office supplies. The government has acknowledged the fact that buy and hold investors depend on their homes to produce income, and have come up with a way to compensate them for the inevitable deterioration of their assets. That said, homes are significantly more expensive than traditional office supplies, which is why the entire cost of the property isn’t deducted in a single year. Investment property depreciation takes place over the predetermined useful life of a single-family home, which the I.R.S. has deemed to be 27.5 years. As a result, homeowners may write off a portion of the home’s acquisition cost for nearly three decades. It is worth noting that the majority of single-family homes last well beyond 27.5 years. While the I.R.S. is perfectly comfortable allowing homeowners to write off a portion of the acquisition costs each year for the determinable life of the property, it’s not uncommon for many homes to stay in use much longer. This is where the biggest depreciation tax benefit comes into play: the depreciation loss. Any deductions made on the property over the course of the allotted 27.5 years are most likely made in the face of rising prices, as history has shown us that homes are more likely to appreciate in value than depreciate. More often than not, the loss never actually occurs. Homeowners are therefore able to take advantage of deductions without their asset depreciating in value. What Types Of Property Can Be Depreciated? The property must be owned by the taxpayer looking to deduct depreciation. The property must be used in a business or income producing capacity. The property must have a determinable useful life. The determinable life of the property must exceed one year. Even if the aforementioned criteria are met, the property may still not be depreciable if it is placed in service and removed from service in the same year. To make sure your home qualifies, consult a tax professional. In order to calculate rental property depreciation, homeowners must first determine the basis of the property. In other words, they must identify the acquisition cost, which may include things like settlement fees, closing costs and additional out-of-pocket expenditures. 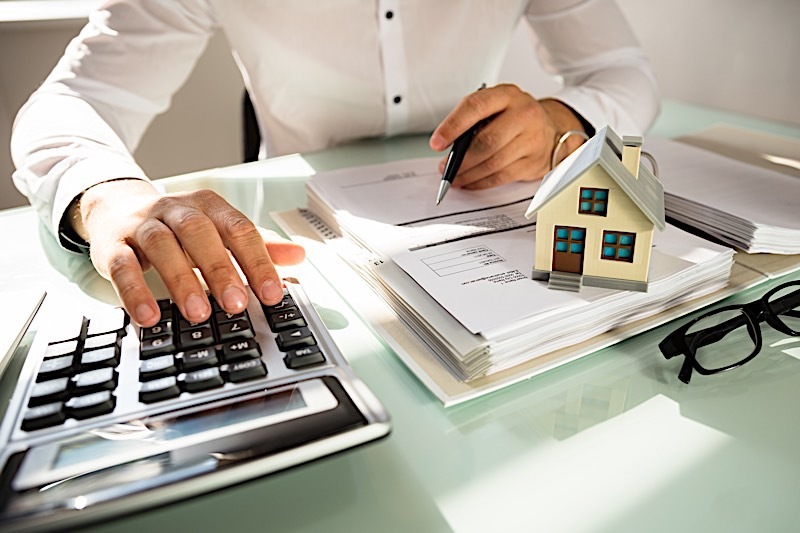 Not every cost may be added to the basis, so be sure to check with a certified tax professional to make sure you determine the correct basis of your own property. Once you have the bases, proceed to deduct the cost of the land (land is not depreciable in the eyes of the I.R.S.). The resulting number should account for the cost of the home, and not the land it is sitting on. Now that you have a better idea of how much it cost to acquire the home (minus the cost of the land), you must then determine which Modified Accelerated Cost Recovery System (MACRS) you will use to calculate real estate investment depreciation. Homeowners will typically choose between two systems: the General Depreciation System (GDS) and the Alternative Depreciation System (ADS). The General Depreciation System is the most common, but consult a tax professional to identify which system you need to use for your own home. The system you choose will determine the amount of time you are allowed to depreciate the home. Those using the GDS can depreciate a portion of their basis every year for 27.5 years. The ADS method, on the other hand, allows owners to depreciate a portion of their basis for 40 years. FortuneBuilders: What Is Rental Property Depreciation? The tax benefits of buy and hold real estate investments are significant, as is evidenced by investment property depreciation. It has the potential to act as a great tax shelter, and can save entrepreneurs thousands of dollars at tax time. In the event a homeowner is able to deduct depreciation losses in an asset that is gaining value, they may realize one of the greatest benefits of real estate investing. Depreciation investment property rules are complex, and should therefore always be handled by a tax professional. Claiming depreciation on property can amount to thousands of dollars in tax savings for qualifying homeowners. The home depreciation tax deduction is often overlooked when discussing the benefits of real estate investing.